Sanders, Phillips & Co. Ltd.
'Festival of Britain 1951 May 3 - November 3'. 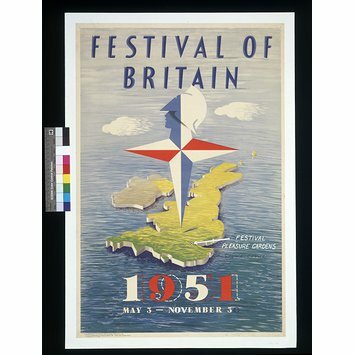 Colour offset lithograph poster promoting the 1951 Festival of Britain. 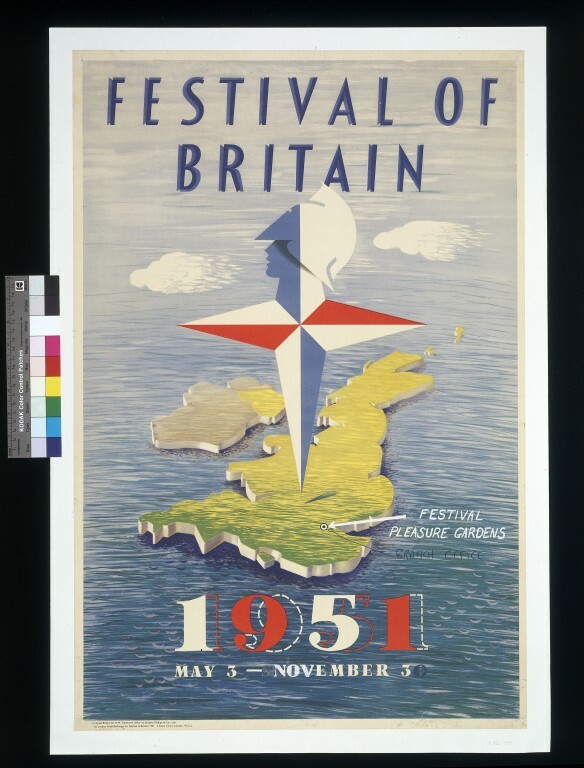 The design shows a green image of Britain viewed from the sky, incorporating within the design the festival symbol designed by Abram Games. With manuscript additions and amendments to the original date 'May 3-September 30' in white body-colour and ball-point pen. 'Festival of Britain 1951 May 3 - November 3'. Proof of Festival of colour offset lithograph poster with amendments in ball-point pen and body-colour. Designed by the London Press Exchange, England, 1951.